In contrast, the 'Effective Leader,' working without a pill, proclaims that 'only through sustainability can our teams remain motivated and successful.' An inspiring and supportive leader, he supplies the right ingredients, earning his team's respect and trust with a blend of integrity, partnership, and affirmation. The hard-won result is a highly motivated team producing consistent top performance and genuine success. 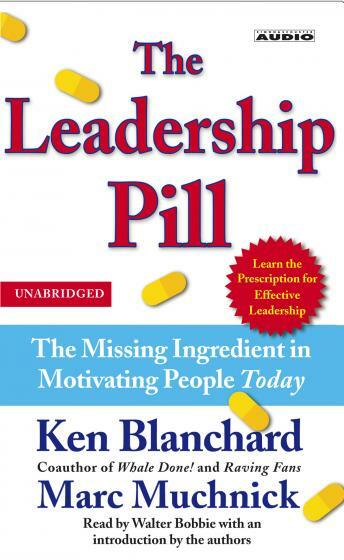 Ultimately it is recognized that 'leadership for a lifetime' is much easier to digest than a pill for leaders looking for a quick fix.